Twenty years of personal experience in working and living with a disabled person, being a mother of a daughter, who is bound to a wheelchair. With numerous trips abroad she has gained rich experience in tourism for people with disabilities abroad and regarding the needs of disabled persons as users of tourist services. Her entrepreneurial journey has already begun 27 years ago. During this period, she gained a lot of business experience. 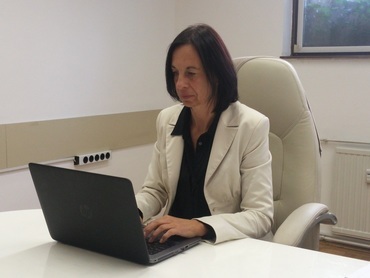 She led a home enterprise with 5 permanent employees, collaborating with the sales systems of Mercator, Spar, Tuš and several smaller traders as well as with most hotels in Slovenia. Construction technician, 33 years old, he too, due to a car accident before 8 years, became a wheelchair user. He works in the company in adapting facilities for people with disabilities. He is a connoisseur of the needs of disabled people, as well as of the possibilities for adapting facilities according to the needs of people with disabilities. He enjoys planning, he uses AutoCAD program to draw up plans of adjustments. He finds great joy in contacting and reaching agreement with clients. Born in Sarajevo in 1985, but since 2003 he resides in Ljubljana. He holds a bachelor’s degree in political science and history, and from 2012 he is a passionate tour guide. At the time of study he was six years active in the International Office of the Student Organisation of the University of Ljubljana (ŠOU in Ljubljana), where he obtained his first experience with organizing excursions and guided tours, while increasing knowledge of the English language. In the years 2013-2014, within the frame of the project City of Cultures, he trained members of vulnerable groups in the field of creative cultural tourism with the intent to enable them to become professional tourist guides, while at the same time developing alternative tours around the Slovenian capital. 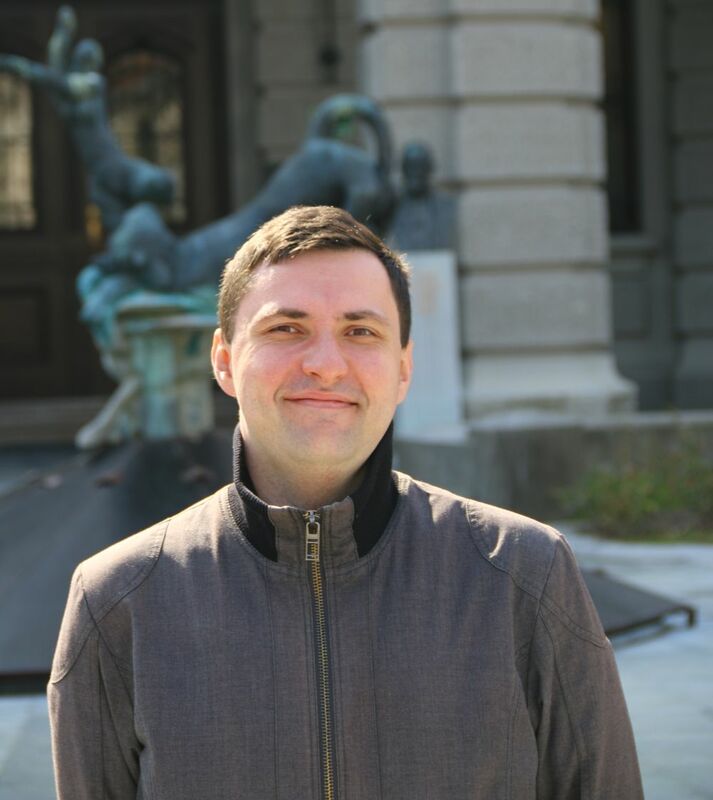 In addition to guided tours, he is most interested in the study of the past, and is co-editor of the historic portal Zgodovina na dlani (History at a Glance). Marko is by education an engineer of graphic design. He’s also a husband and a father of two children. As soon as he finished high school in 1995 he started working in the area of graphic design and continued to do so all the way until his accident with the para-glider in 2012. Even before he joined out team he worked in several associations of the disabled people, so he knows their needs very well. Besides modern technology, he is also interested in social sciences and inter-personal relations. During his free time is a volunteer in a humanitarian organization. His other hobbies are bicycle riding, hiking and climbing. He simply loves the nature and its animal life. 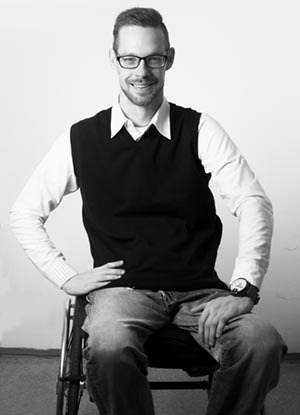 Born and raised in Slovenian capital Ljubljana, Miha is by profession a university graduated meteorologist. During his youth he was active in the Boy Scouts movement, and during the student times he was working as Minister of International cooperation at the Student organization of University of Ljubljana (2006 – 2008). After the graduation, in October 2010, he stared working in Šolski servis minibus transfer company, where he got his first real experience in dealing with people with special needs, in particular the wheelchair users. In year 2011 he made the licence for a Tourist guide and in the same year opened a Tourist agency Patos. 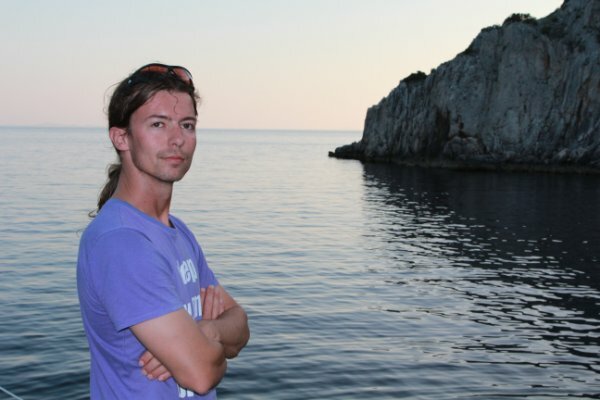 Although also working in the outgoing tourist sector (Czech Republic, the Balkans, South-East Asia), as a local tourist guide he very much enjoys showing the beauties of Slovenia to the foreign visitors. His main hobbies are sailing, skiing and diving.